Attention pepper lovers: step away from the jalapeños. Investigators from the Food and Drug Administration think they’ve found the true culprit in the current Salmonella outbreak, which up until now had been associated entirely with tomatoes. 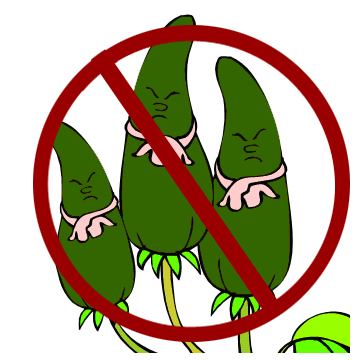 The FDA announced yesterday that its officials matched the strain on a single jalapeño pepper at a distributing center in McAllen, Texas. If you simply can’t resist the spicy, at least avoid raw jalapeños, or foods prepared with jalapeños. If they are cooked or picked, they are considered safe. The Salmonella outbreak that started in April of this year has resulted in more than 1,200 infections and 229 hospitalizations, according to the Centers for Disease Control and Prevention.